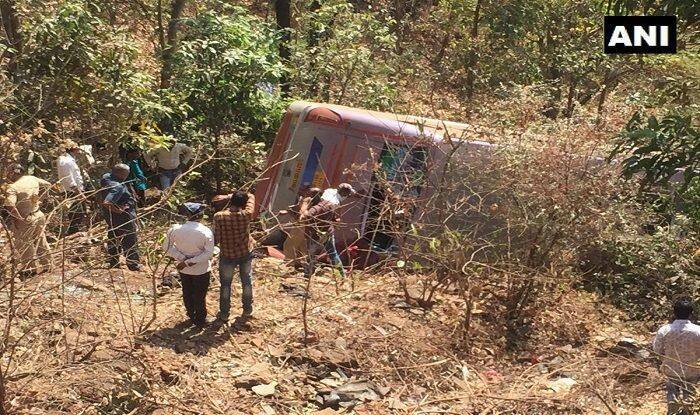 The bus accident that took place in Palghar district claimed the lives of four people. Moreover, 45 others were injured in the accident. Mumbai: The death toll in the bus accident in Maharashtra’s Palghar district rose from four to six on Sunday. Moreover, 45 others were injured in the bus accident that took place near Trimbakeshwar road in Palghar district on Sunday evening. Those injured in the accident were rushed to a nearby hospital, stated news agency ANI. In a similar incident on January, two people were killed while 15 to 20 others including school children sustained injuries after a private bus hired for a school trip collided with another vehicle near Junnar in Pune district, said police.